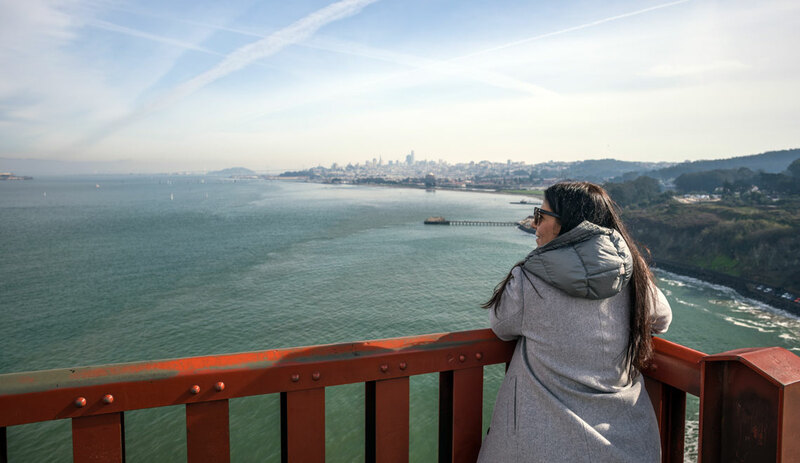 San Francisco is an eclectic city to visit known for its culture, clam chowder, the Golden Gate Bridge, hippies, the tech industry, cable cars and steep hills. I was super excited to visit ‘the easiest city to love and the hardest city to leave’. Exactly 20 years before our visit, (yes, I know, we are getting old) my husband Sebastiaan called this city home when he was on a year-long exchange student program attending college in Hayward (on the other side of the bay). This time, back for work, it was a trip down memory lane. For me as a first- timer I can tell this city has stole my heart as the European vibe spoke to me a lot. The city is fairly small compared to other major cities around the US and I felt really at easy discovering the common sights and attractions on my own (while Sebastiaan was working). Climbing up one of the steep hills, you always have a picturesque view throughout the city with its outspoken landmarks and I could easily find my way. I made this list of sight and things to do for first-timers in San Francisco, including the popular sights. Some of them you can avoid as I give you my honest opinion. An excellent and fun way to experience the city is by cable car. 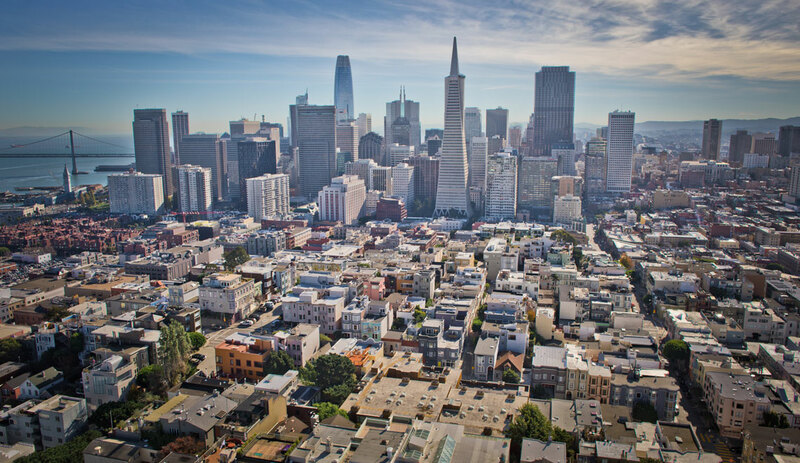 Discover neighborhoods as Nob Hill, North Beach, China Town, Union Square and Fisherman’s Wharf. 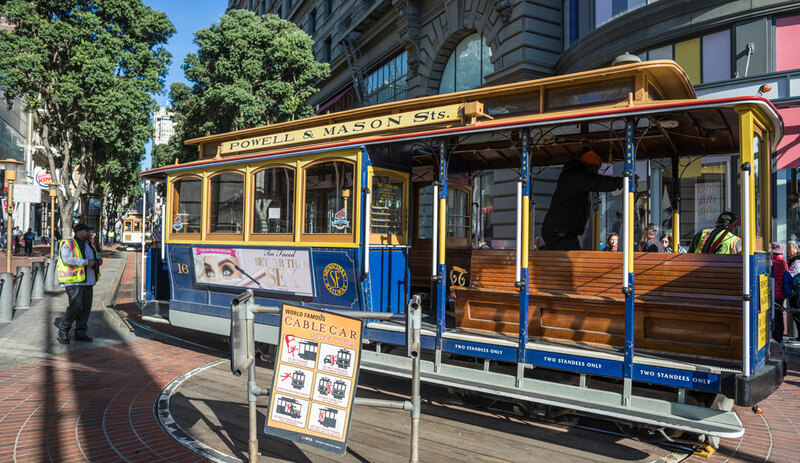 With a Visitors Passport can be purchased for 1, 3 or 7 consecutive days and you can hop on any of the cable cars as you wish and have unlimited rides on Muni, Muni metro, historic Metro and historic streetcars. Tip: instead of waiting in line at Market Street, you can catch one of the cable cars along Powell Street. We mostly used the cable car in the evening after a long city walk. It’s great transportation, while taking in some extra fresh air. Our hotel was located on Union Square and we loved to be in the center of town. It is easy to catch transportation from there and you are near a lot of shops, restaurants, and bars. As I mentioned before, we visited after Thanksgiving and most shops kept their black Friday deals, which made my day! The best part, however, was that all the Christmas decoration was up, including an ice rink! Check out the Cheesecake Factory as it allows you to dine outside with a great view of the square. As San Francisco’s most famous landmarks as well as a piece of engineering art, you can’t miss this. You can either walk or ride your bike across the bridge. We walked in awe and also stared at the surfers below the bridge who ride the waves with an stunning backdrop. Take a stupid amount of pictures as everybody does and if you are lucky, you can make beautiful pictures with the fog. San Francisco’s Chinatown is the biggest and most famous in the US. There are a lot of tacky souvenir stores full of crap you really don’t need, but still, I enjoyed window shopping. I discovered many parks where the community comes together and perform Tai Chi with hand fans. Very interesting to watch. We stopped to eat at one of the better restaurants, The Great Eastern Restaurant (Obama’s takeout place in San Francisco) but we weren’t excited at all. We ordered a variety of dim sum but in my opinion, this wasn’t the best place to go to, sorry Obama! The famous street located in the Russian Hill neighborhood said to be “the crookedest street in the world”. Well, I am not so sure if the claim is right. I know Tortola in the BVI has some very steep hills with some hard hairpin turns, but I must admit they aren’t as pretty to see as Lombard Street is. Lovely neighborhood and you pass right by Lombard street with the Cable car (it stops at the top). There is a walkway on the side and you can follow the street all the way to Coit Tower. If you have a car or a bike available, visit again and drive down the street yourself. Another major landmark, which you see from anywhere in the city and is perched atop of Telegraph Hill. From the top, you have a panoramic view of the city and we made tons of photos from here. 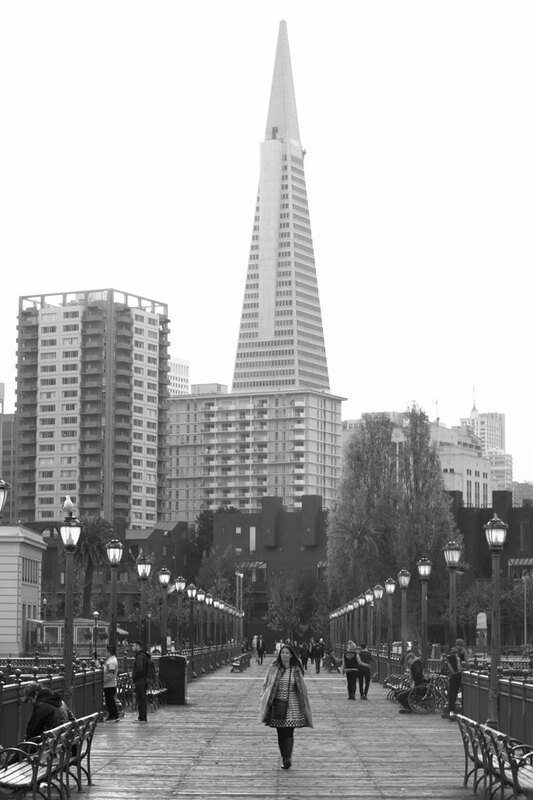 One of the most photographed sights of San Francisco. And I sure understand why! It’s a beautiful place to leisurely stroll around and relax. It’s a pretty site, but don’t plan too long here. We took a few pictures (nothing worth publishing, though) and hopped back on one of the many buses you can take to downtown. My top recommendation to eat in this city. I am no fan of the food in the US, but there are a few surprisingly good spots to be found including these vendors and restaurants in The Ferry Building! As I like all things related to food, I could spend the day here. Loved to sit near the dock in the sun or stroll around the markets inside the building. As my husband was in the cocktail business, we visited many bars. The tiki bars, are so much fun! Tiki means that you escape every day life and enter a Caribbean/ Polynesian make-belief world with awesome and fun cocktails and (often Chinese) food. First standout: Tonga Room & Hurricane Bar. Massive place with occasional rain showers and some thunderstorms while the live band entertains you from their barge in the lagoon. Yes, seems impossible but it’s an experience not to miss! The decor is very well done. Please take note that if you are seated you must pay extra if the band starts playing. We had a bit of trouble reserving a table as this is a very popular place to book for weddings and events. Most of the week we were in SF it was pre-booked. Make sure to check in advance and try to reserve a table. The long wait for a table made us drink more cocktails than we first anticipated (which was actually a plus). The second standout is Trader Vic, which is located just outside town in Emeryville, but very much worth the drive. 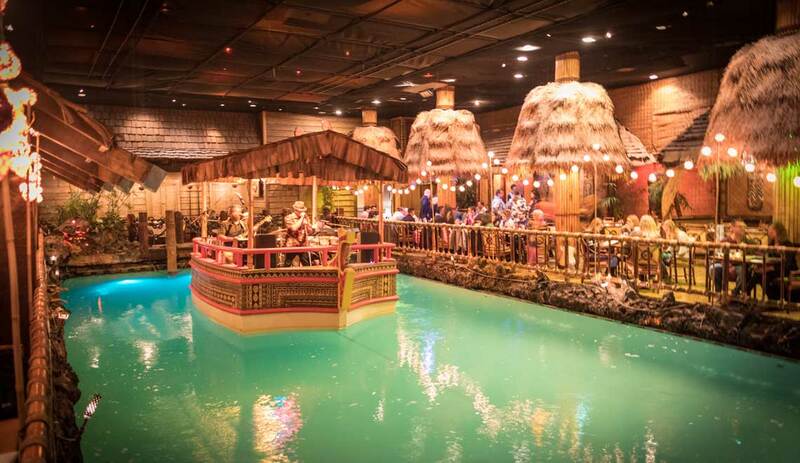 We were on a mission to find the best tiki cocktails and this tiki bar absolutely is the best of them all. Trader Vics is home of the original Mai Tai, and man, they are good! I loved all their different variations. The restaurant is also one of the best in the Bay Area. To hold down the cocktails we had a few bites from their menu and they were great too. The bakery was mentioned in our Lonely Planet and online it seemed like the place to go for their famous sourdough bread. I love bread and the bakery looked like a Wonka’s Chocolate factory, but with bread instead. The smell of fresh bread lured me in. I was at their Fishermans Wharf location and it was extremely busy, so I thought this must be really good. I didn’t order their famous clam chowder as I just wanted a small en quick bite. To be honest, I just didn’t like it. The bread was too hard to bite on. It might be just my order (which I hope) but personally, I wouldn’t go back to check. Be a judge for yourself, because it’s an impressive bakery you can’t walk past without looking inside. It’s one of the most touristy things to do in the city and in my opinion not worth a lot of time. If you do not like to see the mass crowds go early mornings. Shops start to open up and the overpriced restaurants are just setting up for another busy day. I do like to observe the sea lions sunbathing and arguing, they are so funny. 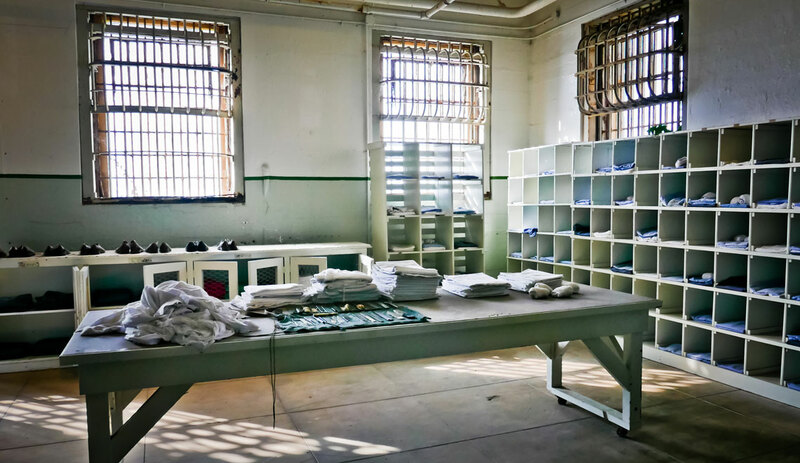 It’s creepy and fascinating to visit at this former federal prison, that housed some of the worst criminals in the US. Make sure to do the Alcatraz Audio Tour, which gives you an idea of what happened inside from a prisoner perspective, as well as former staff. I was worried about the long wait and even getting tickets as I read everywhere to book early. I got very lucky with the timing, end of November, just after Thanksgiving weekend and it wasn’t crowded at all, I could hop on board the ferry right away! Best, if this is on your to-do list, to not do the same as me but make sure to book early. We found this burger place that claims to serve the best burgers (TripAdvisor gives us joy 9 out of 10 times). The place looks like any other burger joint out there, but don’t let that fool you. So not expecting anything at all, we ordered some burgers with garlic fries. Yummy! It was mouthwatering good, loved every bite. For a joint that really has the best burgers, it wasn’t busy at all. Other customers told me to keep it quiet that these burgers are amazing, since the locals do not like to end up in line with a bunch of tourists. Even though I promised, I think it is worth mentioning! Well, I can’t imagine who wouldn’t like to enjoy a 360 view of the city while sipping a cocktail in this iconic high-end bar. Go up to the 19th floor of the Mark Hopkins Intercontinental Hotel (you have to pay a fee if you are not staying in the hotel) and gaze at the panoramic skyline of the city. Definite must do. Living on an island means that you miss out on a lot of stuff, like cool concerts. So whenever we visit a city, we always check which artists are performing. We ended up in the Fillmore singing along to all the famous Stereophonics songs. The old venue itself is worth a visit. All the walls are filled with the hand-drawn posters of all the bands who performed there. And the old pictures of the artists make you feel like you stepped into a place which has been part of music history. I have a husband that follows the NBA and has been a long-time Warriors fan. It made a lot of sense that we would go see one of their games. I am not so much a fan nor do I know much about sports. But Sebastiaan convinced me that attending a game is much more than just basketball, it’s an experience. We had seats quite high up but had a good view over the court. The show, with lots of fireworks at the start, was amazing! The Warriors didn’t play their best game, they actually lost, ouch.. but were entertained during the whole night and left happy because of the very positive vibes. The only downside is that a night like this is very expensive. Food and drinks are overpriced, in my opinion. Tip: you can also try attending a baseball game, which is usually a lot cheaper. 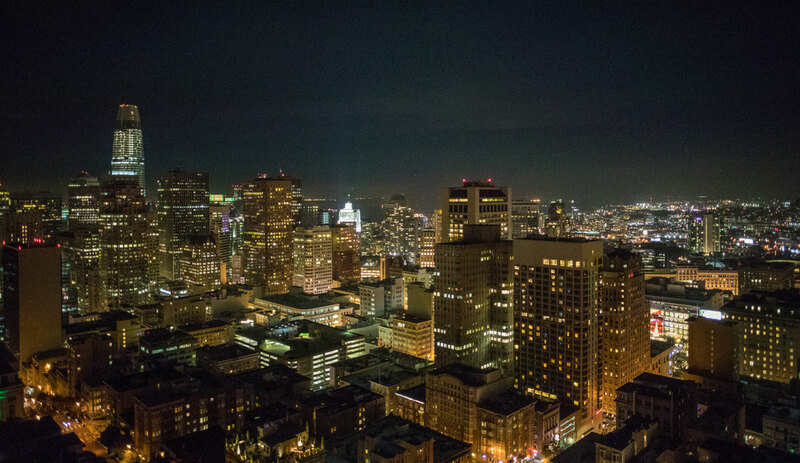 San Francisco is not an undiscovered city, by any means. Even though I had a feeling how it would be, it did exceed my expectations. There are so many unique things to do and see, which makes this city unforgettable. Make sure to wear comfortable (flat) shoes to walk up and down the hills. If you have any fun recommendations to add please share them in the comments, I hope we will be back someday! We use third party services like Google Analytics, Youtube, and we allow comments on our website. Don't worry, we don't do anything weird with your personal information. We hope you enjoy our website.